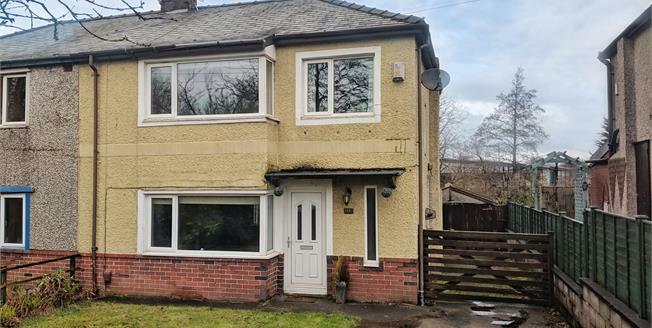 Offered with NO CHAIN is this semi detached family home with off road parking at the front and side of the property and comprises an entrance hall with stairs leading to the first floor, a lounge with double aspect windows at the front and rear and a fitted kitchen. Upstairs there are two double bedrooms, a single bedroom and a three piece family bathroom. There is a large storage shed at the rear as well as a detached pre fabricated garage.